The Tennessee General Assembly authorized “Tennessee Agricultural and Industrial state Normal school for Negroes” in 1909 and opened with 250 students and three buildings in 1912. Depending heavily on donations from local Negroes and grants from philanthropic and federal agencies, the school graduated its first class in 1924, built collegiate-level facilities between 1927 and 1934, and achieved university designation in 1951. Tennessee A&I felt the oppression of a Jim Crow (de jure racial segregation) society until lawsuits forced the state to respect the “separate but equal” US Supreme Court decision of Plessy v. Ferguson (1896). These lawsuits caused Tennessee to grant out-of-state fellowships for Negroes to enter graduate programs closed to them at the all-White University of Tennessee. In 1941, state officials also promised to “make Tennessee A&I State College for Negroes the equivalent to University of Tennessee for White students.” In 1942, they authorized a graduate school at Tennessee A&I under threat of more NAACP-inspired lawsuits. Another building program began in 1950 and continued through the 60s, but state bonds left the institution deeply in debt, and state officials backed off the 1941 promise after Brown v. Topeka, Kansas, Board of Education (1954) began to dismantle Jim Crow education. From 1959 to 1967, Tennessee A&I students became heavily involved in the civil rights movement. In 1968, a set of plaintiffs sued in federal court to force the state to desegregate public higher education and provide A&I equal resources. 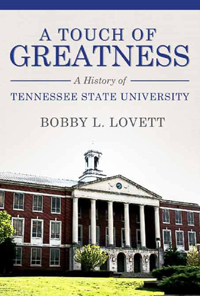 The federal court merged the UT-Nashville campus into Tennessee State University in 1979 and today thrives as a racially diversified, comprehensive urban land-grant research doctoral-level institution with nearly 9,000 students.